At the beginning of their work, almost every Ukrainian government considered the reduction of the shadow economy as a source of economic growth, but none of them was able to unlock this potential. Just before implementation of another tax reform, this question becomes relevant once again. At first glance it seems that helping the economy come out of the shadow is a quick way to ensure economic growth. A number of experts believe it is possible to compensate for the budget deficit, which will occur as a result of the tax rates reduction, by bringing the income of companies, entrepreneurs, and employees out of the shadow. However, as research has shown, the effects of the reduction of the shadow economy can be mixed. Apparently, the destruction of tax evasion schemes will facilitate the formation of conditions for fair competition. Those legally employed won’t demand social assistance from the state and will have social guarantees. The corruption risks will be reduced. 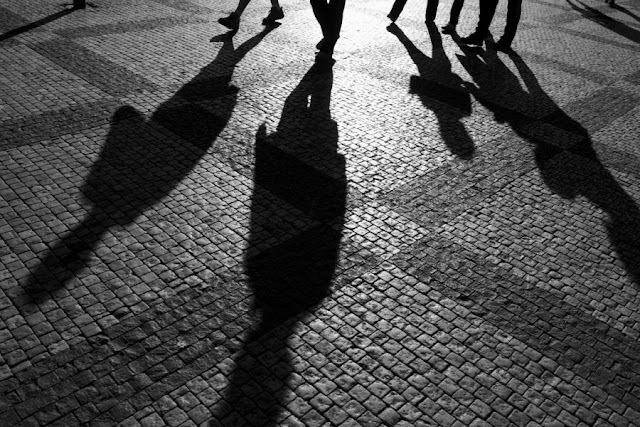 At the same time, according to the studies by Friedrich Schneider and his colleagues , the shadow economy can both stimulate and stifle economic growth. Quantitative estimation by Friedrich Schneider for individual countries proves that 2/3 of the added value created in the shadow economy contributes to consumption, thereby stimulating economic growth. If the reduction of the shadow economy will happen by force, the results might be negative — a number of businesses will leave Ukraine or will be destroyed. It is also necessary to remember that business is always more mobile that state institutions. With the rapid development of digital technologies and financial tools, business will quickly find mechanisms for new tax evasion schemes and regulatory procedures. Ambiguous interpretation of the indicators of Ukraine’s level of shadow economy often contributes to forming of too optimistic expectations of the reduction of the shadow economy. In particular, a number of experts believe that in addition to GDP, calculated by the official statistics, a “shadow GDP” is created in the shadow economy, which equals from 40 to 60 % of its official size. In fact, size of the shadow economy in Ukraine is really large, but none of the current estimations does answer the question about the size of GDP, created in addition to those already taken into account in the official statistics. The purpose of this work is to find out what actually reflect the indicators of the shadow economy, which are calculated for Ukraine. Indicators associated with the level of shadow economy in Ukraine are calculated by the State Statistics Service of Ukraine, the Ministry of Economic Development and Trade of Ukraine , and Friedrich Schneider . The estimations of the State Statistics Service (approximately 17% of GDP) reflect the size of the economy that is not directly observed. According to the estimations of the Ministry of Economic Development and Trade, the shadow economy in Ukraine is between 25 and 58% of GDP. The so-called integrated indicator of the level of the shadow economy, according to the Ministry, has been recently exceeding 40% of GDP . According to Friedrich Schneider, the shadow economy in Ukraine makes up about 50% of GDP. (2) more than 40% of GDP in Ukraine is created using shadow schemes (Figure 1b). According to the formulas used by the Ministry of Economic Development for their estimations, the second interpretation is correct. The first of the interpretations (Figure 1a) means the following. In 2014, the Ministry of Economic Development estimated that the shadow economy level makes up 41% of official GDP. It means that in addition to UAH 1567 billion, estimated by the State Statistics Service, UAH 642 billion (41% of UAH 1567 billion) is created in the shadow economy (see Figure 1a). Based on this logic, Ukraine’s GDP in 2014 is UAH 2209 billion instead of UAH 1567 billion, estimated by the State Statistics Service. This statement is not correct. The shadow and the so-called white (official) economies don’t exist as two parallel realities. The chain “production — income — consumption/savings” can consist of legal and shadow operations. For example, a person who receives their salary “in envelopes” (shadow operation) may pay with the money legally in a supermarket (white operation). The funds allocated from the budget for public procurement (white operation) may be partly used to pay a bribe (shadow operation), and then the briber goes to a restaurant and pays with this money for the food (white operation). The list of these chains, which consist of white and gray operations, may go on and on. This logic corresponds to the second interpretation of the indicators of the shadow economy and is shown in Figure 1b. It shows that the processes of the shadow and the legal economy often overlap (shaded area in Figure 1b). The added value, which is created in the shadow production, is redistributed to the legitimate consumer market, or vice versa. Almost every shadow scheme includes both legal and shadow operations. When at least one of the shadow operations is carried out in a legal way, in some way or other its cost can be registered in the official statistics. With the aim to take into account all possible channels of formation and distribution of added value in statistics of all countries, GDP is calculated using three different methods — by production, by income, and by consumption. Of course, a part of the shadow added value never gets into the legal economy, and then it can’t be included in the official statistics (gray area in Figure 1b). For example, this happens if (1) the exporter is selling products at reduced prices and gets a part of the costs to their offshore company (in the tax language, uses transfer pricing schemes), (2) the producer of narcotic substances illegally sells products, transfers the income abroad and spends it there. However, neither the Ministry of Economic Development nor other experts have estimated which part these operations make in the indicators of the shadow economy for Ukraine. Why the second interpretation (Figure 1b) is correct? Formulas used to make calculations affirm this. In the methodological recommendations of the Ministry of Economic Development from 18.02.2009 № 123, the level of the shadow economy is calculated using methods of “consumer spending — retail turnover”, as well as financial, monetary, and electric methods, and the loss-making enterprise method. The method of “consumer spending — retail turnover” allows determining the shadow economy level through comparing household expenditures on goods with volumes of purchase of goods in retail networks. Household spending on goods is the difference between household income from different sources, household investment expenditures, and their spending on buying services. In particular, household income includes salary, subsidies, income from business activities, deposit interests etc; household investment expenditures include spending on buying real estate, securities, deposits etc. According to this method, the shadow economy level is calculated based on the assumption that household expenditure on goods must match indicators of turnover in retail trade networks. If the data don’t match, the difference is considered the size of the shadow economy. The methodological recommendations of the Ministry of Economic Development state that the basic data for calculating the size of the shadow economy using the “consumer spending — retail turnover” method is the data of the official statistical observations of the household life conditions, income and expenditure of the population, structural inspection of enterprises, statistics of the trade and restaurant business. Since the official statistical data is used in the calculations, it is obvious that the size of the shadow economy, estimated using this method, is already taken into account in the national accounts and, consequently, in the GDP estimations. The level of the shadow economy using the “consumer spending — retail turnover” method within the last 5 years has increased from 45 to 58 percent of GDP. Indicator of the shadow economy level using the loss-making enterprises method in the Ministry of Economic Development methodological recommendations is based on the assumption that “according to the official statistics, all loss-making enterprises are actually profitable… The profitability of the loss-making enterprises is equal to the profitability of the profitable enterprises in the period analyzed”. In fact, it is assumed that, for example, in this and past years there were no loss-making enterprises, and the enterprises suffering losses actually made a profit. This thesis is, to put it mildly, quite controversial, and it points out that this indicator is not reliable enough to be the basis for making a decision. Three other methods — financial, monetary, and electric — allow estimate only the shadow economy dynamics, and not its level. Therefore, this method provides for determining assumption on the level of the shadow economy in a so-called base year and subsequent calculations of its changes. Financial method is based on the assumption that the dynamics of prices for finished products and components of its prime cost must be coincident. If prices of components of prime cost are growing faster than prices of finished product, it is considered that this difference reflects increase of the shadow economy; if they are growing slower — decrease of the shadow economy. Differences in the price dynamics are estimated for various industries of the economy, and the sum of these differences determines the change of the size of the shadow economy in general. The rates of increase/decrease of the shadow economy are calculated based on these differences. Level of the shadow economy is based on the assumption of its level in the base year and estimated rates of change. For the financial method, the methodological recommendations of the Ministry of Economic Development determine 2003 as the base year, and suggest that in 2003 the shadow economy level was equal to that estimated by the “consumer spending — retail turnover” method. This indicator has been already discussed above, and it has been shown that it lets establish the size of the shadow economy, already included in the official statistics. The monetary method allows estimating changes of the shadow economy level by comparing monetary supply dynamics and GDP. It is believed that it must be coincident, and if there’s a difference in the rates of change of these indicators, it is interpreted as a change (increase / decrease) of the size of the shadow economy. To calculate the level of the shadow economy, the Ministry of Economic Development makes the assumption about its level in the base year; 1991 is considered the base year, and the level of the shadow economy that year is defined as equal to zero. In other words, this approach is based on the assumption that “there was no shadow economy in the Soviet Union”. This assumption might be the reason why the level of the shadow economy, according to the monetary method, is relatively low and within the last 5 years has been ranging from 24 to 35 % of GDP. The electric method is based on comparison of the dynamics of consumption of electricity and GDP. It is assumed that if electricity consumption is growing faster than GDP, this discrepancy can be explained by two factors: (1) changes in technologies, (2) growth of the shadow economy. In the methodological recommendations of the Ministry of Economic Development this method is implemented using a number of subjective assumptions. In particular, in order to isolate contribution of technological changes “starting from 1998, the index of changes of the GDP is corrected according to the value of the minimum ratio between the index of changes of the expenses of fuel, heat, and electricity for technological needs and the index of changes of GDP. This value for the period from 1998 to 2006 is constant and equals 0,912”. The methodological recommendations don’t explain what is exactly the meaning of the index of the “minimum ratio between the index of changes of the expenses of fuel, heat, and electricity for technological needs and the index of changes of GDP”, how it is calculated, and why it was used only from 1998 to 2006. Because of the groundlessness of these assumptions, indicators calculated by the Ministry of Economic Development using the electricity method are not reliable. Therefore, the indicators calculated by the Ministry of Economic Development using the “consumer spending — retail turnover” approach, as well as monetary and financial approaches, reflect the volume of shadow economy, which is largely counted in the official statistics. The indicators calculated by the Ministry of Economic Development using the losses approach and the electricity approach are based on obviously ungrounded assumptions, so they are not further taken into consideration. Foreign experts, such as Friedrich Schneider, offer their own estimations of the size of the shadow economy. Schneider estimates its size in Ukraine in the range between 46 and 53 % of GDP. In his methodological explanations , the expert points out that his methodology is concentrated on two kinds of shadow economy — illegal employment and household production of goods and services. These kinds of shadow income are difficult to take into account in statistical observations of the population’s income. However, a significant share of this income is used by the population in the consumer market, and can therefore be taken into account by the official statistics in terms of consumption. Thus, in the indicators, calculated by Schneider, it is difficult to distinguish which part of the added value created in the shadow sector is included in the official GDP figures (shaded area in Figure 1b), and which part is not (gray area in Figure 1b). Estimations of illegal withdrawal of the capital can be used as certain guidance in the estimations of the volumes of the shadow GDP, which is not included in the official statistics. This figure is calculated by experts of the Global Financial Integrity . The recent data for Ukraine show that using illegal prices manipulation at export and import of products in 2011 $2 billion was withdrawn from Ukraine, which is slightly more than 1% of GDP. This means that the size of the shadow economy, which is not taken into account by the State Statistics Service (1% of GDP), is insignificant compared to the overall size of the shadow economy (40-60% of GDP). According to the data, which were published by Global Financial Integrity in December 2015, the illicit capital outflow from Ukraine in 2004-2013 was about $116.76 bln (8.5% of GDP). Thus, the existing indicators of the level/size of the shadow economy reflect flows of resources, which are created using shadow schemes, but these flows are largely reflected in the official statistical observations. They show that about half of GDP in Ukraine is created using illegal schemes and operations, which are not declared, not taxed or which are made without necessary permits. It means that the shadow economy today is making a significant contribution to the economic growth, and the volume of resources serving the shadow economy and not included in the official statistics is not outstanding. Thus, the reduction of the shadow economy won’t allow for finding of significant additional resources in the economy, it will only contribute to their redistribution. The authors of the tax reform and their opponents are hoping for additional budget revenues as a result of the reduction of the shadow economy. However, the effects can be mixed. In particular, as a result of bringing salaries out of the shadow, the households will pay more payroll taxes and consume less. The reduction of the consumption will have a negative impact on economic growth and cause reduction of VAT revenues. As analysis has shown, the shadow economy makes a significant contribution to the economic growth in Ukraine. Activities, which use illegal schemes and operations generate about half of GDP. So, too aggressive fight against the shadow economy in Ukraine can turn into the fight against economic growth.